A great trip that combines many of Southern Africa&apos;s highlights, all in fine style and with private tours. This is a fantastic, compact tour that takes in many of the top highlights of Southern Africa in just one short trip. All the carefully selected exclusive and private tours will allow you to take things at your own pace and see what you are most interested in. 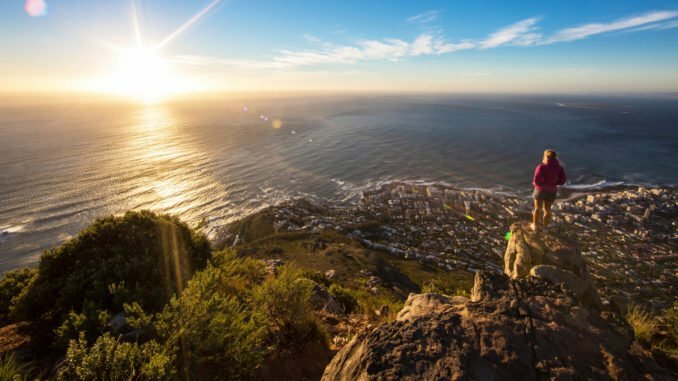 Take in the magnificent setting, culture and scenery of Cape Town, then head to the neighbouring Winelands for good food, tranquil countryside and superb wines. Next up is the famous Kruger for a stylish safari and the exhilaration of spotting the Big Five before a relaxing final two nights spent near to the roaring spectacle and pioneers rendezvous point of Victoria Falls. On arrival at Cape Town, you will be met airside by a Jacada representative, as you enter the terminal building. You will be fast-tracked through immigration, assisted with baggage collection and assisted to your onward arrangements. Set in the fashionable Kloof Street area, the Cape Cadogan is a wonderful boutique hotel. The historic, listed building has been decorated with contemporary neutral hues giving a more light and spacious look whilst the elegant fixtures remain true to the origin of the building. Communal areas are very comfortable and include a library and lounge (with open fireplace) as well as a small garden and pool area. The rooms at the Cadogan are light and open with modern fittings sitting side by side with restored antique pieces. Service is helpful and attentive with a relaxed but professional touch. This is a great area to explore with some fashionable new restaurants appearing in the neighbourhood. With sweeping views of the Atlantic, Table Mountain as a backdrop, and the buzz of a working harbour, the Victoria and Albert Waterfront is one of Cape Town’s prime locations. It is here that you’ll find The Silo. The grain silo was the tallest building in Sub-Saharan Africa when it was built in 1924, and the luxury hotel is located in the former elevator tower. The creative brain behind the project is that of prominent British designer and architect Thomas Heatherwick, whose iconic works include the Cauldron for the London 2012 Olympic Games and London’s new Routemaster bus. The Silo occupies six floors above the Zeitz MOCAA Museum of Contemporary Art Africa. A partnership between the V&A Waterfront and Jochen Zeitz, this cultural institution focuses on exhibiting cutting-edge contemporary art from Africa and its diaspora, with the Zeitz Collection forming its founding exhibition. Taking its place on Cape Town’s skyline, the hotel is a beacon of modern design. The industrial aesthetics remain with the addition of pillowed glazing panels which bulge outwards as if gently inflated. At night, this transforms the building into a glowing lantern. Each of the 28 rooms, which include a magnificent penthouse suite, are individually designed and strike the balance between industrial, stylish and comfortable. The creative team have been busy sourcing pieces from Cape Town and across the world, to ensure each room tells its own story without detracting from the natural beauty of the city, which can be seen through the 18-foot windows. Another key feature is the huge grain-shaped atrium carved out of the interior of the grain silos. The art in the hotel is in keeping with the collections in the museum. Appreciate the 360 degree panoramic views from the restaurant, champagne bar and glass swimming pool located on the rooftop while casting your eye across the ocean, city bowl and mountains. There is also a café, piano bar, spa and fitness centre and when you want to go exploring, the Waterfront itself offers a wealth of shops, restaurants and bars. Ellerman House is a class act throughout. Not to mention a wonderful piece of history that feels very much like your own home but with top class service befitting a five-star hotel. Perched in one of the most spectacular and privileged settings in Cape Town overlooking Bantry Bay, it is the epitome of comfort and class with a relaxed, elegant style. Decoration is colonial, with a nod to the contemporary and recently refurbished to provide thoroughly modern comforts. Where Ellerman House excels above others is the excellent house staff, who in these grand surrounds create such a relaxed, friendly atmosphere. Taking a (complimentary) evening cocktail from the lounge and strolling out onto the peaceful gardens overlooking the sea for sunset is the perfect end to a day in Cape Town as one feels both special and relaxing. There are just eleven rooms, two suites and two private contemporary villas. Communal areas include a spacious lounge, large garden area (with outdoor pool) and a huge spa. There is an open kitchen you are invited to visit, a pantry that you can raid as well as the complimentary evening cocktails. A particular feature of the property is its private art collection. This is simply outstanding, one of the best in South Africa with works from African masters inside the main building and then, underneath is a contemporary gallery. For anyone interested in art this will add an extra element to their stay. A beautiful, contemporary style boutique hotel, Kensington Place is set on a hillside close to the Kloof Street area offering fabulous views across the city. Decoration is very contemporary with a mixture of dark woods and bright linens; a sense of place is provided by the collection of Modern African art throughout the hotel. Despite the small size of the hotel, service is extremely good here with staff looking to take care of all the little details for you (as well as 24-hour room service). Though close to Kloof Street, the hotel maintains a little distance, giving it a sense of calm and tranquility, with just eight rooms sharing a pleasant communal area and an outdoor pool. Situated in the heart of the V&A waterfront, the Cape Grace is one of Cape Town’s most famous luxury hotels. You can expect world class, personalised service from the Grace in a location perfect for enjoying the restaurants, boutiques and entertainment of this upmarket area. Reflecting its location, the recently refurbished décor has a nautical theme and is full of local detail, with antiques and maps adorning the hallways. In a playful touch, sumptuous chandeliers are adorned with unusual items (such as crockery and kitchenware in the Restaurant area). The 120 rooms and suites are spacious, comfortable and elegantly decorated offering views out to Table Mountain, Signal Hill or the Marina. The hotel also features a luxurious pool and outdoor deck, a spa on the top floor and a great whiskey bar. You can walk straight out into the waterfront area here making it a perennial favourite. Nestled at the foot of Table Mountain with awesome cityscape and ocean views is the creative and contemporary MannaBay hotel. Splendid style and South African art adorns every spot of this property, from the rooftop Atlas Bar to the gorgeous lounge to the fabulously unique guestrooms. Whether it’s Persian grandeur or Oriental opulence that takes your fancy, pick your favourite room as each boasts its own lavish theme and scenic views. However it is the Versailles Suite that reigns as most sumptuous. Boasting not one, but two four poster beds – one sits out on the private balcony – this suite is designed with Louis XIV in mind. Accommodating a maximum of just sixteen guests, look forward to an exclusive and intimate feel here. The superb service and thoughtful extra touches add to the serene experience with mobile phones with local sim and numbers, African travel literature and in-room spa treatments all provided during your peaceful stay. Located in the popular V&A waterfront, the One&Only is the most contemporary of Cape Town’s top hotels. As one might expect from the top luxury resort specialists, the service is excellent. The very spacious rooms and suites (107) have an elegant style, fabrics and textiles taking an African influence with rich colourful hues. The main hotel area sits around a lagoon in which an island has been created. This is where the outdoor pool, jacuzzis and spa are located, to give more of a ‘resort’ style feel to the hotel. Special Island suites are also available here. Inside the hotel itself there are large communal areas including a vast lobby and bar area as well as restaurants from South African celebrity Chef Reuben Rifell and Nobu. The resort also has a particularly good kids club, which they can be left in comfortably for the day as the adults go out exploring. One of the most beautiful cities in the world, Cape Town is a city that can really take your breath away. The horizon dominated by the iconic table-top mountain rising up in the background, whilst in the foreground are the crisp waters of the cape, the laid-back bustle of the city’s waterfront skirted by sandy beaches and picturesque suburbs. This is the oldest city in South Africa, steeped in history and full of beautiful buildings from its colonial past. The tall mountains and green hills that surround the city have an immensely calming effect helping this to be one of the most relaxing big city visits that you are likely to have. Outside of the city itself there are many attractions than can be visited in a day trip, from the Cape of Good Hope to the rolling hills of the wine lands. Today you have a half day tour of the city and Table Mountain. Your tour is with a private guide and at your own pace picking out the attractions which interest you. 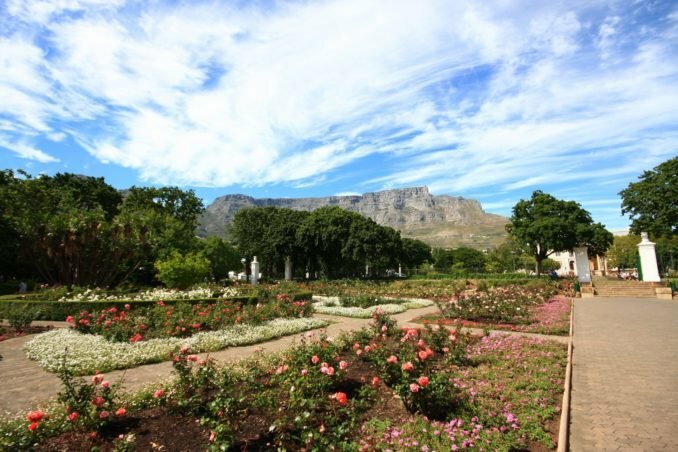 Typically highlights include, the Houses of Parliament, the Castle (built between 1666 and 1679, this is South Africa’s oldest building), the lively Green Market Square with its daily market, the Company Gardens and of course Table Mountain which will give you spectacular views over the city and Peninsula (depending on the weather). On the descent, you can stop at the Bo Kaap, traditionally home to the Cape Malay community, with its cobbled streets and brightly coloured houses. Note that this tour can be done in the morning or the afternoon - the choice is yours. Take one of the most scenic journeys in the world in this wonderful, full-day privately guided tour. Enjoy the scenic drive up Chapman&apos;s Peak with incredible views of the ocean to your right as the road winds around narrow corners. 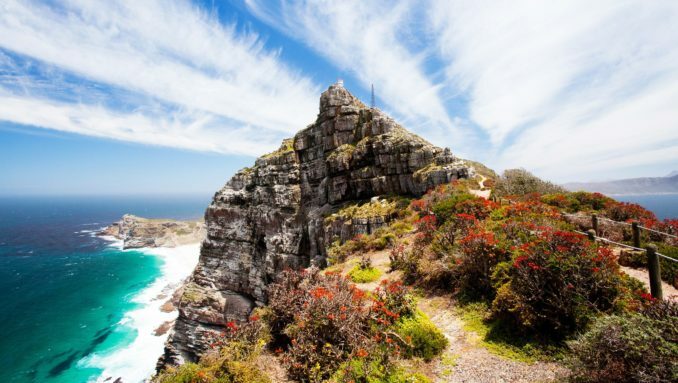 The typical highlights of this tour include quaint villages such as Noordhoek, the bustling fishing suburb of Kalk Bay, the penguins in Simonstown and of course Cape Point, the &apos;tip&apos; of Africa. Set on one of the oldest Cape Dutch Farms in the wine region, Babylonstoren is a 200-hectare working fruit farm with an exclusive hotel and restaurant set amongst the vineyards orchards and beautiful kitchen gardens. This is a beautiful and relaxing sanctuary, effortlessly blending its colonial, pastoral past with modern contemporary design. There are 14 cottages spread out through the grounds, a spacious blend of restored Cape-Dutch architecture and sophisticated modern touches. This is modern design at its very best with a deft lightness of touch giving a feeling of space and modernity whilst remaining very true to the historic style of the buildings. It’s no surprise therefore that Karen Roos (former editor of Elle Decoration) is one of the owners. Guests can enjoy the outdoor pool area, restaurant, eight-acre kitchen garden, spa and gym. The farm is also to be explored, walking through the 200 hectares of land or perhaps taking a canoe out on the farm dam. Leeu House is situated in an enviable position on the main street of Franschhoek, a country guesthouse in the midst of the hustle and bustle of this vibrant village, surrounded by award-winning restaurants, wine farms and boutique shops. Stylish interiors are a 21st century take on the traditional Cape Dutch heritage of Franschhoek. The twelve individually styled rooms feature goose-down duvets and fine linens, air-conditioning, flat-screen smart televisions, unlimited Wi-Fi access, Nespresso machines and private bars. The en-suite bathrooms have marble floors, showers and vanity tops, freestanding baths, vast showers and underfloor heating. Three of the suites open onto their own private gardens, while others boast small intimate terrace courtyards. Dine inside in The Conservatory or al fresco on the terrace, enjoying Leeu Collection wines and spirits from the complimentary bar. Innovative cuisine is prepared by the talented culinary team headed by Oliver Cattermole. Committed to sourcing organic and ethically farmed ingredients, his globally influenced menu features the freshest local produce. All Leeu House guests have full access to the facilities and spectacular grounds at nearby sister property Leeu Estates, such as the on-site spa, inspired cuisine, or make use of the gym facilities and heated infinity swimming pool. Leeu Estates also features an extensive network of walking, jogging and cycling trails, and a world-class wine cellar. One of the most famous hotels in South Africa, La Residence is a truly opulent and stately base from which to explore the wine region. From the moment one enters the grand hall at the entrance, it is obvious that you have entered a very special place. Works of art and antiques from all over the world adorn the lavish interiors. Set close to the pretty town of Franschhoek on a backdrop of rolling hills, the hotel sits in thirty acres of working farm with immaculately manicured gardens, vineyards and orchards. There are eleven suites set in the main building, each very individual from the other and themed around a colour, with an eclectic but cohesive mix of antiques and art lending both character and opulence to each of the rooms. Further down the hill are the newly constructed villas. These have a slightly more contemporary feel, with brighter colours and are also very suitable for families as they range from two to four bedrooms each. The villas also share a separate pool area and a communal open kitchen and dining area, encouraging a more informal mingling of guests in this part of the property. Surrounded by the natural splendour of Franschhoek, La Clé des Montagnes provides elegant accommodation and an exclusive stay. High quality service is the main value here with private butler service and a personal gourmet chef available. Housing four different villas, each boasts a distinct style yet all are homely and luxurious. The hotel’s rooms feature grand touches such as chandeliers, large fireplaces and private verandas. Villas can sleep from four to eight people, allowing you to choose which style best suits your taste and needs. While staying in the heart of the picturesque Franschhoek valley, dine on fantastic cuisine and experience the region’s famed wines as you enjoy sweeping views of vineyards, orchards and mountains. Just a short walk from the historic village centre, go on private tours of award-winning wine estates to sample delicious wines and even create your own personal blend. Set inside the peaceful, pretty town of Franschhoek, Le Quartier Français is a tranquil, luxurious base from which to explore the town and winelands beyond. This is by far the best hotel in town with a fantastic level of service and a relaxed, modest atmosphere that belies the level of comfort and attention to detail. 17 of the 21 rooms and suites are set around the central courtyard, with four others around a private garden. The white exteriors contrast with the warm, colourful interiors of the rooms, all very comfortable and spacious. The hotel also has two excellent dining options which front onto the main high-street of Franschhoek. Guests can also enjoy a pleasant lounge area, herb garden and private cinema. The ‘La Petite Colombe’ restaurant is among the best in South Africa. With the excellent service, comfort and cuisine one would expect, however, what elevates it above all, is the friendly personal aspect to the service here. Enjoy the beautiful countryside of the Winelands. This is one of the most historic areas of South Africa as it’s where many of the original Dutch settlers first made their homes. Pretty towns and villages adorn the countryside, their white washed Dutch colonial buildings contrasting against the lush greens of vineyards, fields and forests. There are a huge variety of different vineyards to visit here, ranging from small boutique wineries where you may be shown round by the owners themselves to larger, more modern estates. Aside from grapes, all manner of fresh produce is made here, much of which you will find adorning the plates of the excellent restaurants in the area. You&apos;ll have our top recommendations for activities, vineyards and restaurants so that you can make the most of your time here. Today you have a full day in the Winelands with one of our expert wine guides. We will communicate your wine preferences before the tour, so that your guide has time to set up any special appointments. That way, you will have the best experience possible. Typically the regions explored are Stellenbosch, Franschhoek and Paarl, but this depends on your wine tastes. On a usual tour, the first stop is Stellenbosch, the second oldest town in South Africa, with canal-lined avenues, and magnificent examples of Cape Dutch architecture. Next head over the scenic Helshoogte Pass to Franschhoek, founded by French Huguenots over 350 years ago. It&apos;s lovely setting and café lined streets will charm you and afford the opportunity to do some shopping too. Optional chocolate, cheese and olive tastings can also be arranged with your guide ahead of time. Ngala was the first private reserve to be incorporated into the Kruger National Park and its established reputation and impeccable service is immediately sensed. In terms of wildlife, this 14,700-hectare reserve is similar to what the Kruger possesses (Big Five) but Ngala benefits from good concentrations of lion, frequent leopard spottings and wide open terrain preferred by the wild dog. Ngala Safari Lodge’s 20 thatched and spaced out chalets provide a good standard of privacy and are styled to be comfortably classic giving them a real home-like quality. Children of all ages are welcome here which, along with the set out, activities tailored for kids and warm service of the staff, makes Ngala a lodge well-matched for families. The chalets are well-equipped for both hot and cold weather with en-suite bathrooms and pleasant verandas, and the main lodge has a particularly inviting lounge done up in all the tradition of a hunting lodge sitting room. Dining is either in the romantic outdoor boma or lantern-lit in the walled courtyard. There is one further luxuriously appointed and spacious family suite here at Ngala which has 2 ensuite bedrooms, sitting room, private swimming pool, and a private vehicle should you be a couple or family looking for that extra slice of exclusivity. Located on the banks of the Nharalumi riverbed in the Timbavati Private Game Reserve adjoining the Kruger National Park, this lovely camp has just twelve luxury tents. Surrounded by lush riverine bush overlooking the riverbed, a fantastic African wildlife experience awaits you here. Each tent is beautifully furnished with a traditional Victorian bathtub, romantic outdoor shower and private deck complete with comfortable loungers. Overlooking the riverbed, lie about like a lion here as you take in the peaceful African bush when you’re not out on exciting game activities. What’s more, the camp’s infinity pool boasts vistas of a large wildlife-filled watering hole, promising plenty of Big Five viewing. Perched dramatically on a bluff overlooking the park, Lebombo offers its guests fantastic views across the park and Singita’s Kruger Concession. Its strikingly contemporary design acts as a counterpoint to the rugged, undressed landscape making it quite an architectural and design landmark. The large, spacious interiors are dressed in clean whites and feature vast windows which reveal the contrasting landscape outside. A spacious deck area with a long pool for lounging makes Lebombo a superior choice. The fifteen suites sit on various points of the hill, each decorated with delicate balance of man-made and natural materials. Bleached branches adorn the roofs whilst floor to ceiling windows let the light in, providing a light, spacious feel. As well as the communal areas of the lodge, guests can enjoy the spa and curio shop located between here and Sweni. The game drive is exemplary with excellent guides and trackers as well as extremely comfortable vehicles. All in all, a strikingly different lodge experience in terms of both design and feel. With just six rooms, this is a small but intimate property. Care has also been taken in the design to make the lodge feel homely and welcoming, there’s an abundance of dark woods throughout. At the centre of the communal lounge area is a bar (which guests are encouraged to enter and use as their own, though service is always close at hand if they prefer). This helps to create a more relaxed convivial atmosphere, making it a particularly friendly lodge to stay in. The six rooms here are stunning, a design masterpiece. Natural African woods merge seamlessly with the modern floor to ceiling windows. Step out onto the deck and you can observe the river below (where one may often spy hippos wallowing the river or climbing the banks on the far side). Though there are large windows guests can expect total privacy and can thus enjoy the view from the large bathtub and showers set next to the windows out across Singita’s Kruger Concession. Rooms come with all the modern comforts one would expect in a luxury hotel (though set in the bush) with the exception of television. There’s a shared pool area to cool off in during the afternoon and guests can also enjoy the ample spa (set between here and Lebombo). Intimate, responsible and modern, Makanyi Lodge is a recent addition to Timbavati, a private game reserve flanking the unfenced western edge of the Kruger National Park renowned for its game viewing and white lion prides. Set amidst the bush overlooking the surrounding wilderness, Makanyi’s seven luxury suites have huge beds, a sitting area with its own fireplace, a beautiful bathroom with a spacious shower and separate bathtub, a private deck and an outdoor shower. Two of the suites are special pool suites, located furthest from the main lodge and featuring four-poster beds and their own private plunge pool. The Main Lodge enjoys stunning views of the dam, a draw for all manner of wildlife. Sun loungers around the pool are perfect for sunbathing, reading or dozing, whilst the cosy loft serves as a quiet reading area or lounge to enjoy TV or a movie. In the main area there are sofas by the roaring fireplace and a supremely well stocked bar. Dining can be a private affair or enjoyed in the lodge’s outdoor boma and dining room. Explore the reserve on expertly guided game drives and bush walks – tracking rhino on foot is an unbeatable thrill and true privilege. Star gazing here is also sublime, the fishing is a wonderful way to spend an afternoon, and a professional wildlife photographer can be arranged to spend the day with you sharing knowledge how to take the best pictures in this most amazing of settings. The area surrounding Makanyi also offers a wealth attractions such as a wildlife rehabilitation centre, cultural tours, hot air ballooning, helicopter safaris and more. Founded in 1898 by President Paul Kruger, this National Park remains one of the oldest and largest wildlife reserves in the world. However it’s not just the Kruger’s size or age that has really helped distinguish itself as one of Africa’s premier and consummate National Parks, but its ground-breaking conservation philosophy and practice that has led the way for other wildlife sanctuaries not just in Africa. And it’s no wonder when you think of the Kruger’s sixteen different habitats, 517 species of bird, and more varieties of mammals, including the Big Five, than any other reserve. So it’s often said, you won’t get a better safari anywhere else. 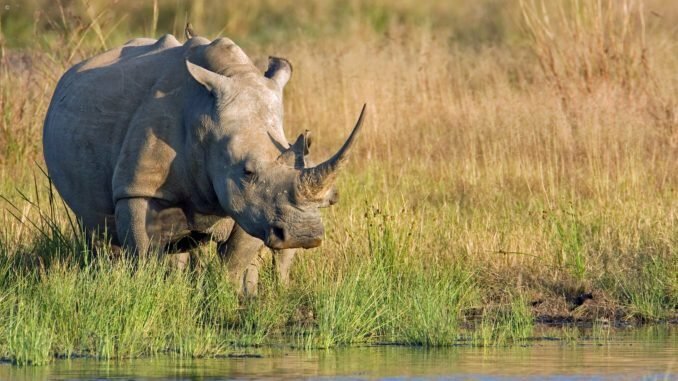 Lying in the north-eastern region of South Africa and at a size of about four million hectares, the main Kruger National Park is open to all. However, we use only lodges in Private Concessions and Reserves bordering the park so that you can enjoy an exclusive, real safari experience and have the best possible game viewing. These private reserves make up the Greater Kruger Park (the wildlife is the same throughout) and possess, what is often agreed, as the finest safari lodges and luxury hospitality on the continent. This is one of our favourites, combining spacious luxury with bags of personality and character. The lodge is set on the banks of the Zambezi in a secluded spot upstream from the falls. The main lodge has four open fronted houses, one enclosed house with private plunge pool and an enclosed family house with an exclusive garden and private pool, as well as five enclosed riverfront cottages. Sindabezi Island features four open fronted chalets and one open fronted honeymoon chalet. The houses, cottages and chalets are enormous and each decorated individually. All enjoy views of the river. Care has been taken to make this one of the most romantic places to stay in the area, with many little touches and hidden away spots to relax in. The lodge makes the most of its location away from the falls, providing a haven to relax in (many prefer a longer stay here). Staff are excellent, with a friendly and welcoming team for whom nothing is too much trouble. Set on a quiet secluded spot some distance up the Zambezi river. Royal Chundu is a place to come and relax by the river. There are two lodges, the River Lodge of ten suites and the Island Lodge of four large villas. Located on a very quiet stretch of the Zambezi this lodge is extremely luxurious with an excellent spa facility and fine-dining in camp. Activities here are a mix of river-based relaxation and adventure as well as visits to the Falls. Thorntree River Lodge is set within Zambia’s Mosi-Oa-Tunya National Park on the banks of the Zambezi River, just a 30-minute drive from the mighty Victoria Falls. The camp is the perfect blend of old and new; the tented structures are remeniscent of a traiditonal African safari camp while rooms and communal areas are contemporary in design. There are eight double suites and two family suites, each with four beds. Decor is simple and elegant with natural materials, local fabrics and large black and white photoghraphs. Suites also feature indoor and outdoor bathrooms as well as a private plunge pool. The main lodge consists of a lounge with open dining area, and there is a gym and a spa overlooking the river. The main decking looks out over the water and is home to a sunken boma area and and infinity pool. A historic landmark and an attraction in itself, the ‘grand old lady of the Falls’ still packs as much colonial flair and character as she always has, and has long been one of the most magnificent places to stay here. The stately Edwardian style building has been here since 1904 and still commands the atmospheric appeal of the age of adventurer, standing at the rendezvous point where many pioneers have chosen to meet over the last century. Of course outfitted with the modern comforts and demands, the hotel has kept up with the times and all of its 176 well-equipped rooms are proof of this. Furthermore there are a phenomenal level of facilities here to spoil you right in the middle of untamed Africa, and their wonderfully manicured and tropical gardens are lovely to take a stroll around. One of the best things about the Victoria Falls hotel is its position, being seated just ten minutes’ walk away from the cascades along one of the hotel’s private pathways. There is nothing quite like taking afternoon tea on the Stanley Terrace, listening to the muted roar of the falls, and a royal view of the rising mist from the ‘smoke that thunders’ and the silhouette of the Victoria Falls bridge that links Zimbabwe with Zambia. If you choose to stay here, you’ll be following in many a royal family’s footsteps and those of many a famous figure, that aside you can’t fail to the feel the history and enduring elegance of this hotel. 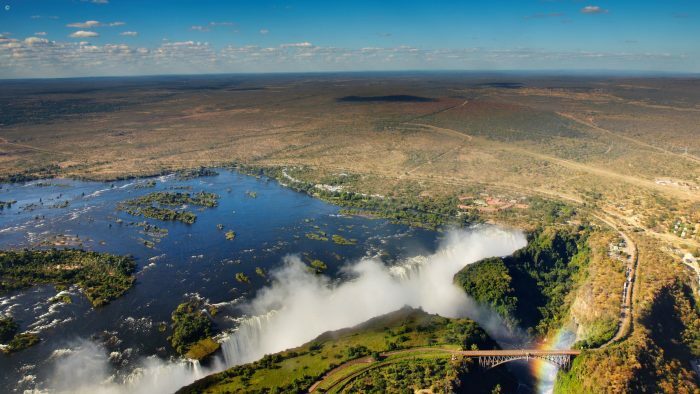 The mighty Victoria Falls rank as one of the most spectacular sites in all of Africa. As the mighty Zambezi river crashes over sheer cliffs onto the rocks below it sprays a cloud of water high into the air. Enjoy a variety of activities in this area (as well as the falls themselves). Speak to our travel designers to find out which suits the best for you. Witness the incredible waters of Victoria Falls from both the Zimbabwean and Zambian side. 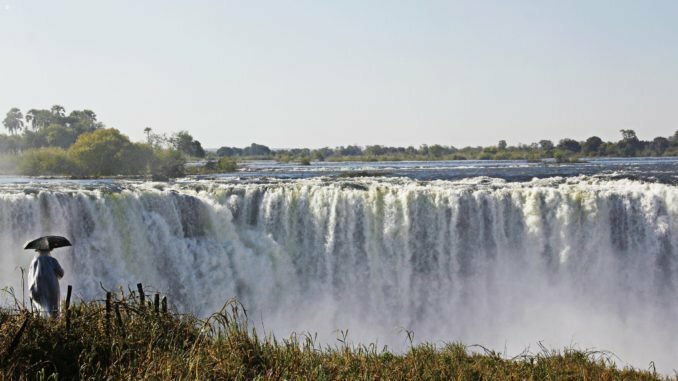 A knowledgeable guide will take you on an unforgettable experience of the falls, otherwise known as Mosi-oa-Tunya, meaning the smoke that thunders. You&apos;ll not only get wonderful views of one of the Seven Natural Wonders of the World but also learn a great deal of interesting facts about the geology, wildlife and history of Africa’s most famous landmark. 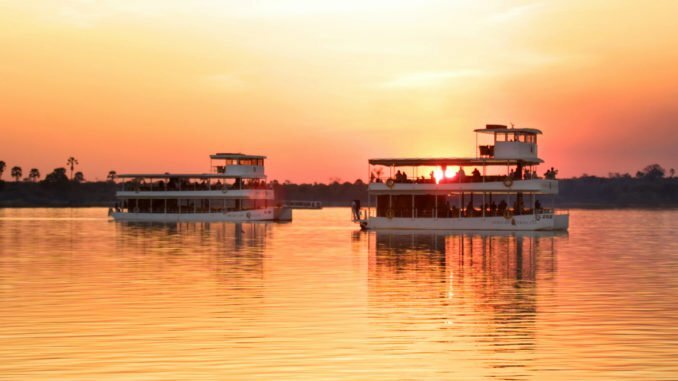 You&apos;ll be collected from your hotel and transferred to the jetty to join the African Queen or Princess. The boat meanders slowly upstream along the length of the Mosi-oa-Tunya National Park looking for game on the way. Enjoy a chilled drink as you cruise slowly up river with the sun setting in the background. A number of animals and a host of bird species can be viewed from comfortable chairs on cool wooden decks while hot and cold snacks are served on board. The bar is well stocked with spirits, wine, beer and soft drinks. You will be accompanied by your own guide who will also serve you bottled wines, premium brand drinks and your snacks. Jacada clients will enjoy use of the exclusive Captain&apos;s Cabin. We design private journeys for people who wish to go beyond the typical and experiencing something truly special. Our amazing team of travel designers, concierges and local guides work together to create unique journeys that get deep under the skin of where you’re visiting. We&apos;ll get in touch within 24 hours and work with you to perfect the details of your trip. Sit back and relax while we plan the perfect itinerary for you. You haven&apos;t entered your name. We create fully personalised trips from start to finish, working with you to pick locations, accommodation and guides that suit you. From in-depth private tours to restaurant reservations, we take care of every detail so you can make the most of your journey. Please note that this is an example itinerary. Your Trip will be personailised just for you, by one of our expert travel designers.